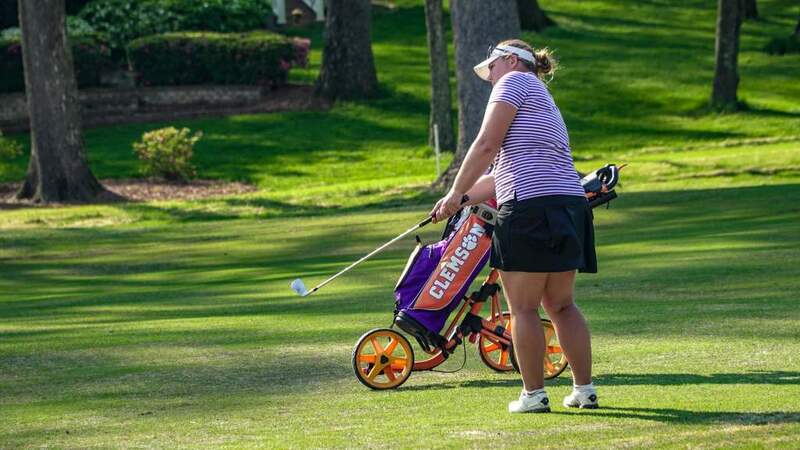 Clemson, S.C.—Alice Hewson had a final round 71 and finished 13th individually at the Landfall Tradition at the Country Club of Landfall in Wilmington, N.C. The Clemson team finished 13th out of 18 teams in the team competition. The field included eight of the top 25 teams in the nation. The tournament concluded Clemson’s fall schedule. Clemson finished with a team score of 902 after a final round 305. Wake Forest and South Carolina tied for the title with 54-hole scores of 859. No. 1 ranked Alabama finished sixth. Hewson’s 71 was the best of the weekend by a Clemson golfer and it was her fifth round under par this fall, best on the team. The sophomore finished the tournament with 38 pars among her 56 holes and she finished with consistent scores of 73-72-71 for an even par 216 total. It was the third top 15 finish for Hewson in the four fall tournaments. 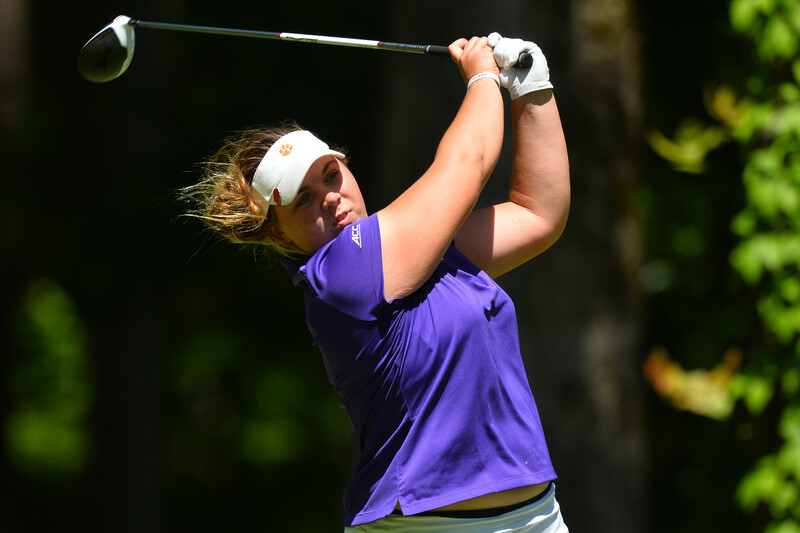 Sydney Legacy was Clemson’s second best player on Sunday and second best golfer in the tournament. The junior had scores of 76-75-74. She played the par five holes at four-under-par for the weekend, tied for sixth best in the field of 96 golfers. 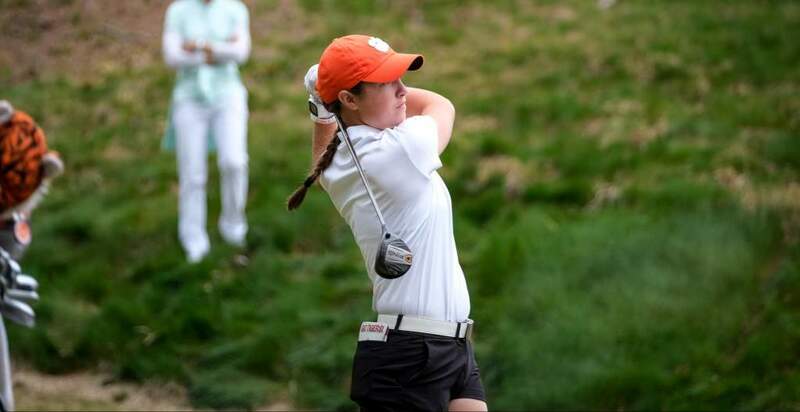 Sloan Shanahan was Clemson’s third best golfer for the event with a 232 score, 69th place overall. It was the final tournament for the senior who is graduating in December. Four years ago Shanahan hit the first shot in Clemson women’s golf history at the Cougar Classic in Charleston. 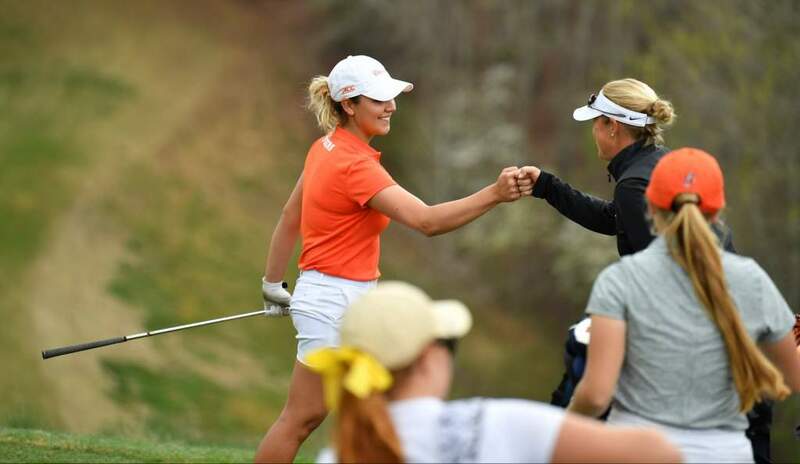 Ana Paula Valdes led Clemson in birdies for the tournament with nine and finished at 233 for the 54 holes. Marisa Messana was a shot back at 234. Jessica Hoang played the tournament as an individual and finished with a 236 score. 1. Wake Forest and South Carolina 859, 3. Furman 866, 4. Purdue 872, 5. Oklahoma 877, 6. Alabama 881, 7. Texas Tech and NC State 882, 9. UCF 886, 10. Iowa 887, 11. Virginia 895, 12. Notre Dame 898, 13. Clemson 902, 14. North Carolina 905, 15. Penn State 915, 16. Michigan State 917, 17. UNC Wilmington 920, 18. Brown 967. 13. Alice Hewson 216, 37. Sydney Legacy 225, 69. Sloan Shanahan 232, 71. Ana Paula Valdes 233, 75. Marisa Messana 234.